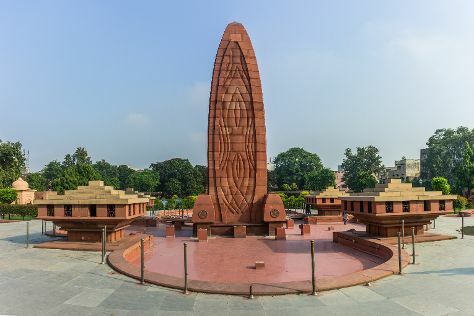 Kick off your visit on the 23rd (Sat): relax and rejuvenate at some of the top local wellness centers, then admire the natural beauty at Jallianwala Bagh, and then contemplate in the serene atmosphere at Golden Temple - Sri Harmandir Sahib. Plan a trip to Amritsar easily and quickly by telling Inspirock to suggest an itinerary. Use the Route module to see travel options from your home to Amritsar. In February, daily temperatures in Amritsar can reach 25°C, while at night they dip to 8°C. Finish up your sightseeing early on the 23rd (Sat) so you can travel to Agra. Start off your visit on the 24th (Sun): explore the historical opulence of Agra Fort, then admire the striking features of Jahangir Mahal, and then admire the landmark architecture of Tomb of Itimad-ud-Daulah. Get ready for a full day of sightseeing on the 25th (Mon): admire the landmark architecture of Taj Mahal, then relax and rejuvenate at some of the top local wellness centers, and then let your taste buds guide you at a local gastronomic tour. Start your trip to Agra by creating a personalized itinerary on Inspirock. Traveling by combination of flight and train from Amritsar to Agra takes 5 hours. Alternatively, you can drive; or take a train. Prepare for a bit warmer weather when traveling from Amritsar in February: high temperatures in Agra hover around 29°C and lows are around 12°C. Finish your sightseeing early on the 25th (Mon) so you can drive to New Delhi. 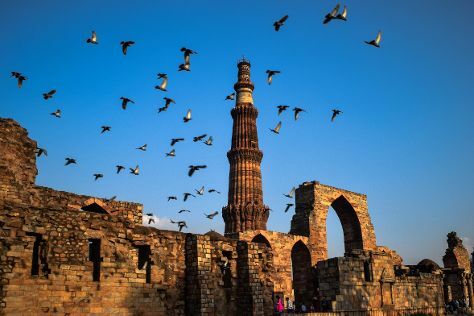 Kick off your visit on the 26th (Tue): admire the striking features of Rashtrapati Bhavan, take a stroll through Hauz Khas Village, then admire the striking features of Qutub Minar, and finally take in nature's colorful creations at Humayun's Tomb. On the next day, contemplate in the serene atmosphere at Birla Mandir Temple (Lakshmi Narayan), contemplate in the serene atmosphere at Gurudwara Bangla Sahib, and then stroll through Akshardham. To see reviews, ratings, other places to visit, and more tourist information, use the New Delhi travel route builder app . You can drive from Agra to New Delhi in 3 hours. Alternatively, you can take a train; or take a bus. In February, daytime highs in New Delhi are 29°C, while nighttime lows are 13°C. 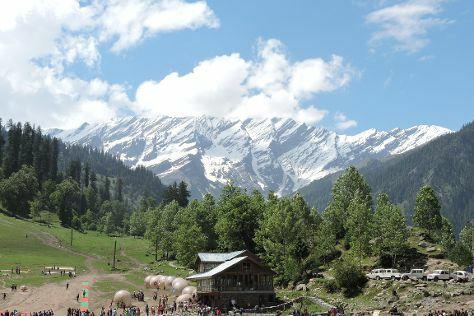 Finish your sightseeing early on the 27th (Wed) so you can travel to Manali. On the 28th (Thu), take in the spiritual surroundings of Hidimba Devi Temple, then appreciate the views at Solang Valley, and then relax and rejuvenate at some of the top local wellness centers. To see traveler tips, other places to visit, maps, and more tourist information, go to the Manali route maker app . Traveling by combination of flight and taxi from New Delhi to Manali takes 3.5 hours. Alternatively, you can drive; or do a combination of flight and bus. Finish your sightseeing early on the 28th (Thu) so you can drive back home. Start off your visit on the 1st (Fri): soothe aching muscles at some of the top local wellness centers and then relax and float downstream with a rafting and tubing tour. Here are some ideas for day two: contemplate in the serene atmosphere at Har ki Pauri and then contemplate in the serene atmosphere at Ganga Aarti at Haridwar. To find more things to do, traveler tips, other places to visit, and tourist information, use the Rishikesh trip maker tool . Drive from Manali to Rishikesh in 8 hours. Alternatively, you can do a combination of taxi and flight; or do a combination of bus and taxi. Wrap up your sightseeing by early afternoon on the 3rd (Sun) to allow enough time to travel back home.